Disasters, emergencies, crises—call them what you will, but there’s no doubt adverse situations need their own special treatment. 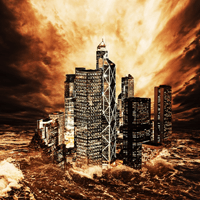 If you think a disaster situation would be the perfect fit for a project manager looking for the thrill of a high pressure role, perhaps it would be wise to take a look at what disaster management really entails. There’s not much that separates disaster management from project management, at least not in the planning and preparation stage. Essentially, pre-disaster planning is a project in itself, which quells the theory that disaster management is mostly reactive. “Disaster management, when well done, is a proactive program,” says Carmel Flynn, international emergencies manager for the Australian Red Cross (ARC). She says it’s important for the project lifecycle to come full circle, for lessons learnt in the recovery process to feed the disaster plans of the next project. He believes the project begins by identifying the possible threats in advance, “and then building your response capability through the development of a crisis management plan, and a team to manage the crisis”. What may be the bulk of the project therefore occurs at the planning stage. The challenge is then raising awareness that the project exists, and is important to the organisation. While the ARC doesn’t experience difficulty identifying the importance of a disaster planning project, as this area forms part of their core focus, many corporations treat the threat of disaster as a low priority risk. “Quite often the managers in charge of disaster management planning find it hard to get engagement and attention from the business. Disaster management is a bit like insurance, we buy it, but we hope we never have to use it,” notes Catherine Smithson, managing director of change management training firm Being Human. In change management terms, disaster management is about finding out who will be affected by various possible scenarios and how they’ll be affected, then developing a communications and training plan. In addition to that, the planning should include identification and measurement of the threat, and guidelines—even a checklist—that will take an organisation through the steps to recovery, “like informing key stakeholders, and protecting assets where possible,” suggests Campbell. Perhaps most importantly, disaster management requires the right resources and capability to deal with a situation under pressure.